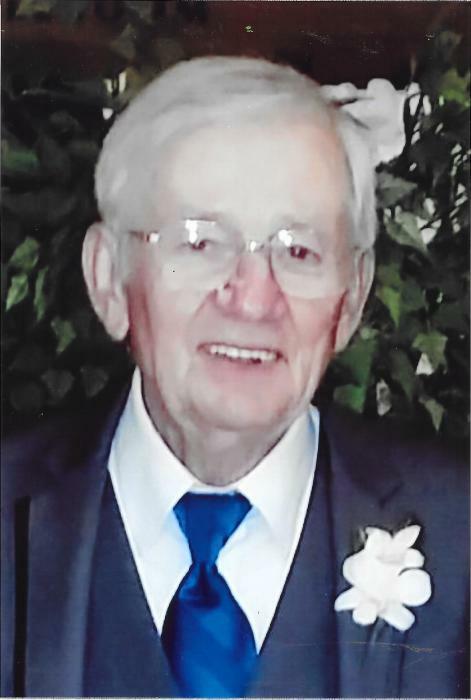 Obituary for Paul C. Ogren | Kaniewski Funeral Homes, Inc.
Paul C. Ogren, 85, of Mishawaka, Indiana passed away Thursday, August 30, 2018. Paul was born on September 15, 1932 in Denver, Indiana to Harvey L. and Sophie (Drajus) Ogren. He had lived in the South Bend/Mishawaka area since 1958. Paul retired as a Master Sergeant from the United States Air Force. He then worked for Civil Service at Grissom Air Force Base for 16 years, retiring in 1996. On June 11, 1954 he married Gail G. Keenan, who preceded him in death on March 31, 2007. He was also preceded in death by his daughter, Terri DeWulf; his son-in-law, Rick Dunham; his sister, Elizabeth “Betty” Ogren; and his brother, Thomas Ogren. Paul is survived by six daughters, Debra (Thomas) Jeffrey of South Bend, Indiana, Donna Bottorff of South Bend, Indiana, Carol Rybicki of Virginia; Linda Dunham of Oregon; Judy (Chad) Truex of Elkhart, Indiana, and Kathy Ogren of South Bend, Indiana; fifteen grandchildren, Tim Jeffrey, Carrie Culp, Joshua and Emily Rybicki, Nate Fox, Gina and Stewart Truex, Danielle Rhymer, and Alex, Aubrie, Hallie, Madeline, Kaitlyn, Isabelle and Rylee DeWulf; two great grandchildren, Breya Celestine and Aylin Fox, and his son-in-law, Michael DeWulf of Argos, Indiana. A Mass of Christian Burial will be celebrated at 10:00 a.m. Wednesday, September 5, 2018 in St. Joseph Church, Mishawaka, Indiana. Burial will follow in Southlawn Cemetery. A visitation will be held from 4:00 p.m. until 8:00 p.m. Tuesday in the Kaniewski Funeral Home, 3545 N. Bendix Drive. Paul was a member of St. Joseph Parish and a former member of Holy Cross Parish for 40 years. 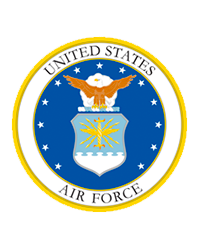 He served in the United States Air Force from 1950 – 1954 and 1975 – 1992. Paul was a volunteer at The Ronald McDonald House at Memorial Hospital and Reins of Life. He was an usher for University of Notre Dame Athletic Department. The family wishes to thank Paul’s many friends for their prayers and friendship during this difficult time, especially Don and Donna McCampbell, Don DeCocker, Fr. Eric Zimmer, and the staff at the Center for Hospice Care in South Bend. In lieu of flowers, memorial contributions may be directed to The Ronald McDonald House at Memorial Hospital. To send online condolences, please visit kaniewski.com.